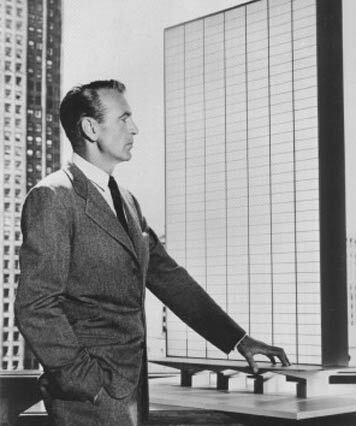 The fountainhead is a movie you want to see if you’re interested in architecture and in the role of the architect figure in society. This 1949 movie from King Vidor was based on the same name novel from Ayn Rand. As a fiery article on archdaily.com exposes it well, a lot of the reasons why today’s architects are so off-board from the real world are showing off in this selfish, arrogant and megalomaniac hero. Still, beyond the question of the independence of the architect and his stature as an artist (? ), the question of “who do you build for?” is quite interesting. In the movie, the question is biased as “the people” position ends up being totally orchestrated by a very fews. I guess we can see in this the denunciation of manipulated democracy, or even the fear of socialism from the writer. The hero is an architect who works for himself and himself only. You like his work, you buy it; but if you don’t, don’t bother making any rearrangement to his artistic holy piece, which is untouchable. I guess Jean Nouvel or Calatrava would act the same, which doesn’t necessarily make their buildings successful. In successful, I don’t mean only esthetic but also relevant to the site and the program it’s been built for, comfortable and easy to use, evolvable and sustainable (economically, ecologically and socially). My architect friend F., who finally finished this never-ending work of renovation, was quite depressed as he realized how much work he put in it without any reward. He worked really hard on every details, drawing them as perfectly as possible and fighting with the craftsmen to get them built and still, the client doesn’t say a word of satisfaction, doesn’t thank him for anything. Everyone on the building site is against him and after the work is done, it is as if he couldn’t see the point of fighting that hard for perfection, as no one on earth seem to care. I tried to comfort him saying that even if the client is his boss during the building process, the real client in fine is the user, the people who are going to use the building everyday. But even them, do they see the beauty? I let myself hope that they see at least what isn’t non-functioning, and I believe a good building, or a sum of good ones in a city, makes people feel happy in their everyday life.